My first time at Snooze, an A.M. Eatery was when I was in Denver for a conference. Snooze was one of the places that they suggested as the best breakfasts you will ever eat. They were right! I love Snooze. It is a fun and quirky place. Service is always great. And the choices for breakfast will not disappoint. When I traveled to San Diego recently, I was excited to see that Snooze had opened a restaurant in a little neighborhood called Hillcrest. Great location and Snooze fits right in to this funky part of San Diego. I love ordering the “pancake flight” from their menu. It is three pancakes of your choice on a very large plate. This is a good thing because picking just one kind of pancake is just too hard of a decision. On this visit, I got their signature sweet potato buttermilk pancakes topped with homemade caramel, pecans and ginger butter. Good ol’ Chocolate Chip and their Coffee and Doughnut pancake with the center cut out and served with a coffee espresso cream. YUM! 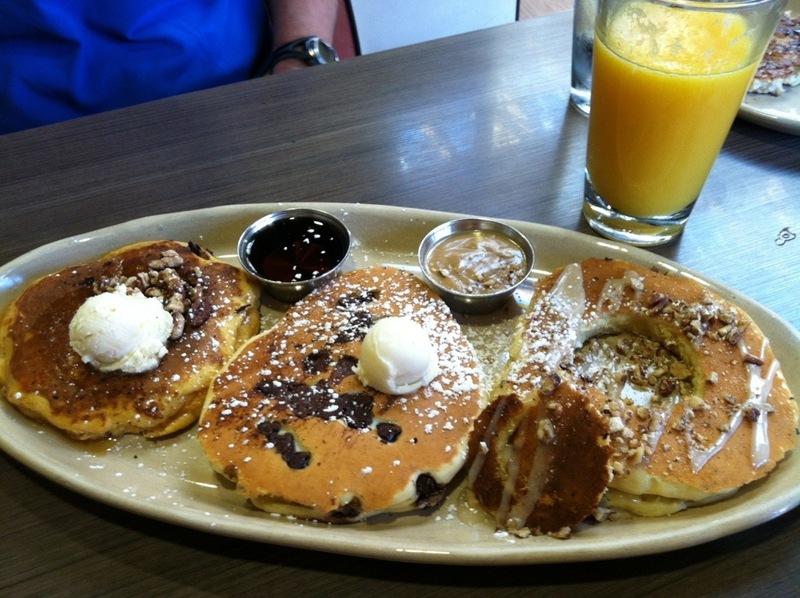 Next time you are in Denver, San Diego or one of their other locations, head over to Snooze. You will flip for them! The Next Great Bite Gets a Refresh!